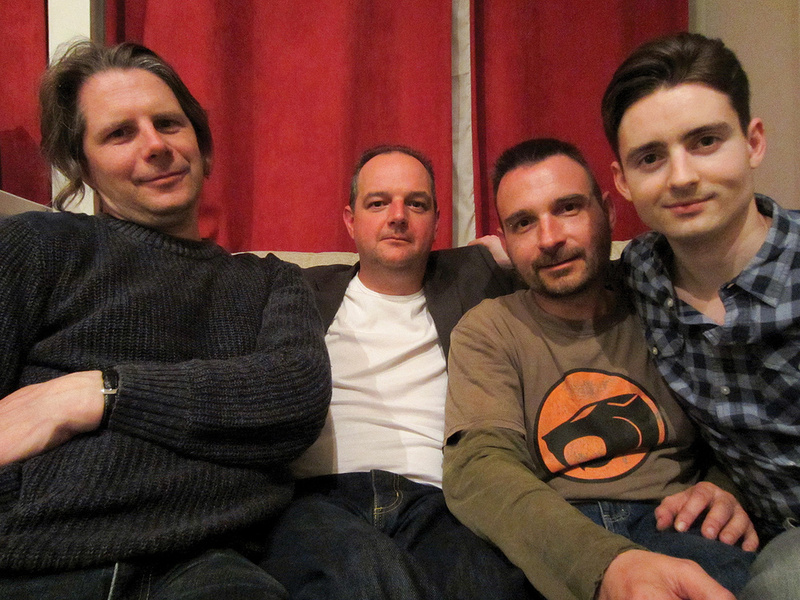 On the face of it, Cambridge-based band Motor Tapes have a fairly conventional line-up, comprising drums, bass, guitar, keyboards and vocals, but what struck me when I first heard the rough mix of their latest track, 'Shore', was that there was an awful lot going on! The track sounded very dense, with several heavily effected guitar parts sitting on top of each other, along with synth and layered vocals. The vocal was also quite dry, in comparison to the rest of the elements, and seemed to be slightly detached from the music. When I went to load up the multitracks, my first impressions were confirmed: I discovered the not -insignificant total of 61 WAV files for the different audio tracks, as well as two rough mixes from different band members and a page full of notes to guide me, in case I needed them. It's actually not uncommon, in this day and age, to have as many as 61 tracks in a project — but when you're coming to such a project part-way through the production process, it's a more challenging prospect. There are quite a lot of parts to get to grips with and, ultimately, shape into a good-sounding mix. 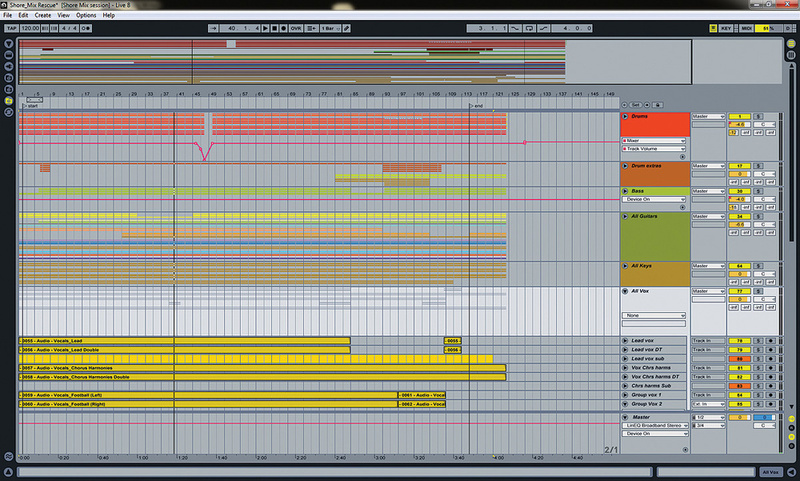 When approaching a sizeable mix project such as this one, then, I set aside an hour or two in which I will detach myself from the artistic side of things and focus exclusively on organising the DAW session. That way, I know I'll be able to work quickly, without wasting time navigating an unwieldy project or setting up channel routing, when I need to be in creative mode. 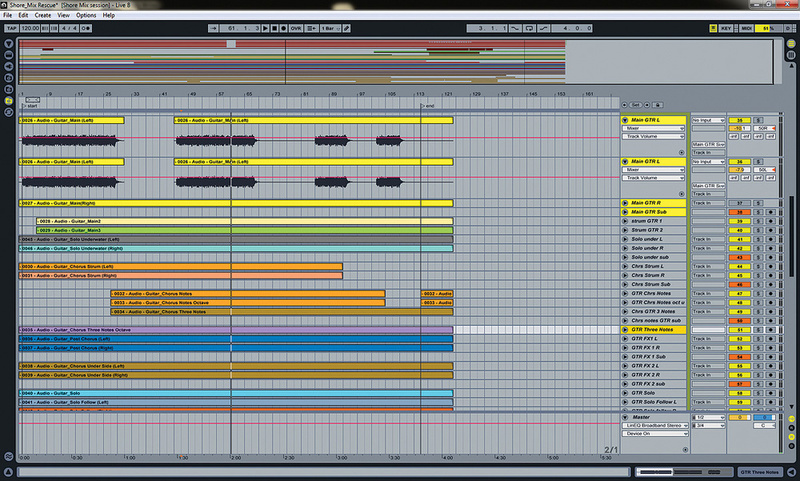 This sort of housekeeping typically involves stacking the tracks in my preferred order in the arrange window. For me, that usually means drums at the top of the window, followed by percussion or any extra drum parts, bass, guitars, keyboards, lead vocals and backing vocals. There's no right or wrong order, but it's useful to have some sort of 'filing system' that you can use and stick to. I'll also start to group sources together, assigning channels to subgroups and so on, and do a few other organising tasks that I know will serve to make the job of mixing the track quicker and easier. Spending time organising the DAW session before you start mixing in earnest will free you up to focus exclusively on the creative side of mixing. 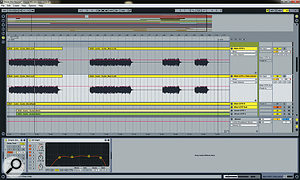 There are different ways of doing most such tasks in the various DAW applications, but in Ableton Live, which I used for this mix, there's a very nice grouping function that allows you to create a collapsible group of tracks very easily. As well as reducing the amount of space the tracks occupy on screen, as you'd expect, it also provides a group master channel, on which you can add processing, perform automation and so on. If your DAW offers this feature, I recommend using it. Once I had this session's tracks arranged in my preferred order, I broadly grouped the main components of the track using this folder/group facility, and then manually created some mini-groups, or submixes, in my mix window. I typically do this for any sources comprising separate left and right audio files — drum overheads and keyboards often come like this — or for a collection of tracks that I'll probably want to process as a whole: drum close mics, a lead vocal and its double track, and so on. Usually, I also set up three to four effect sends to get me started on a mix: one for parallel compression, should I want it, a few reverbs, and some sort of echo or delay. As well as the 'housekeeping', when I'm mixing a song I haven't recorded, I like to work out exactly what my role is in the process. As a mix engineer, you always hope to bring a certain level of technical skill that will improve things sonically, but you usually need to do more than this to really take the song to another level. This is why I believe I need some kind of overall plan in mind before I can start understanding how individual parts should sound. On listening to the rough mixes, and then the individual parts of the track, I was pleasantly surprised at how well sources had been recorded, and that there was no obvious need for editing, tuning and other such corrective tasks. The drums, which I've found are often a problem area in DIY productions, were nicely recorded. It was obvious to me that the band had taken great care to capture their sounds well, and had used decent-quality equipment to do that. One possible source of concern was the guitar tracks. The parts themselves sounded great, but they'd been created mostly with what sounded, to me, like amp simulators, and all the parts had been printed with generous amounts of stereo reverb and delay (as well as, to my ears, some compression and EQ). This would limit my options during the mix, and I suspected I might have to flag it up with the band — but I decided to see how I fared first. Given the shoe-gazing/indie-rock style of this track, my first general thought was that it should sound bigger, more spacious and generally more epic. It also seemed to me that it would suit quite an effect-heavy, 'dreamy' sound, which was in contrast to some aspects of the band's rough mixes. I was keen to create space for all the key elements to shine on their own, but also to work together, even if that meant getting rid of some parts. Bearing in mind the existing effects on the guitars, building the other effects around them to create the right feel was going to be one of my main challenges. I don't always start mixing with the drums, but I did for this track, because I wanted to see where I could get them before making decisions about other aspects of the mix. As I mentioned, the drums had been nicely recorded. The natural drum sound was pretty convincing, with a well balanced overhead signal, good close-mic options for all the drums, and a pair of room mics, which provided a nice stereo image of the kit. Paul explained to me that they'd enlisted the help of a studio in recording the drums, and that seemed to have paid off: for many styles of music, getting a great drum sound while recording really is a big part of the battle. 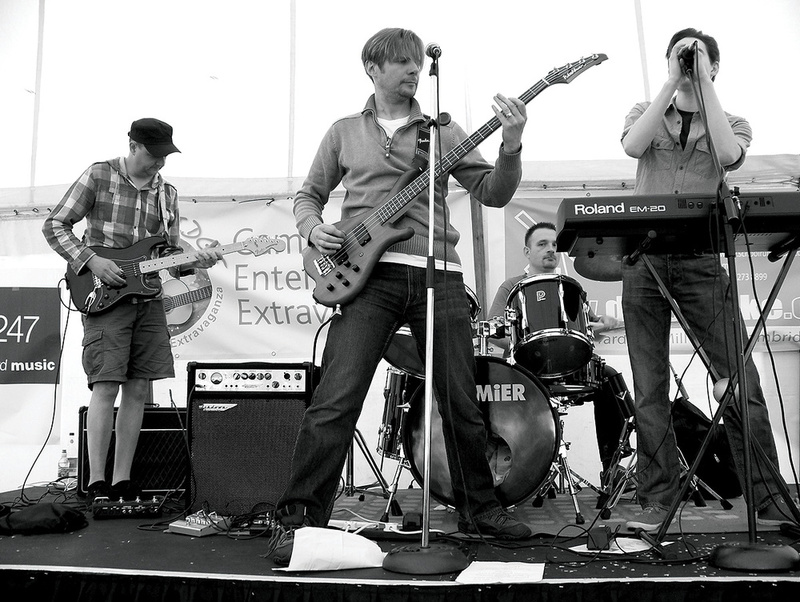 Performance-wise, the drums were also good, having a nice tight feel but not being too 'on the grid'. I did feel, though, that the drummer was perhaps guilty of sacrificing power in exchange for accuracy on occasion. In other words, I didn't feel he was hitting the drums hard enough for the track! Starting with the kick drum, I checked the polarity against the overheads and decided it was fine. That's always worth checking, as if the kick, snare and overheads, in particular, are out of phase with each other, it will really rob your drum parts of power. With those basics taken care of, something of a balancing act will be required with kick drums in most dense, modern-sounding mixes: you have to ask yourself whether that nice little sustain you can hear when the bass drum is soloed is really going to make that much difference — and, to be honest, in the early stages of a mix it's often difficult to tell. In this case, I opted for some gating (using Waves SSL Channel Strip plug-in) and decided to reduce the kick's sustain a little with Stillwell's Transient Monster. My aim was to bring down the spill in the kick-drum mic, but still retain enough to preserve some of the natural sustain, which sounded good. I'll often set up gates and transient-shaping plug-ins, rather than simply use a 'strip silence' facility, because it's easier to tweak settings later, if necessary. Next, I EQ'd out a fair chunk of the kick signal at 290Hz and used a high-pass filter at 30Hz, just to clean up and give the kick some definition. I also identified a couple of suitable higher frequencies — 3.5kHz and 8kHz — that I would be able to boost later if I found myself wanting to introduce a touch of click and top-end definition. Those frequencies will vary from kick to kick and mix to mix, and its useful to identify them early on in the mix. 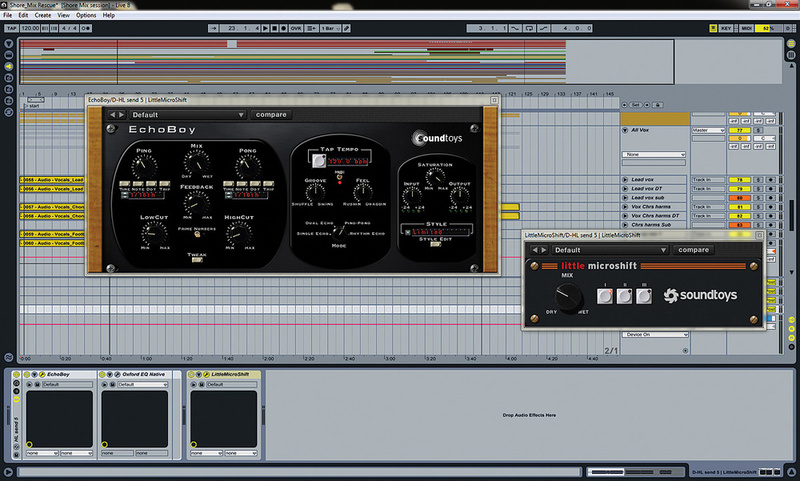 Stillwell's Transient Monster plug-in helped to make the drum gating easier to set up. My work on the snare drum followed a similar pattern. It sounded like a classic SM57 snare — in other words, pretty awful on its own, but eminently useful and usable in the context of the rest of the kit. After checking the polarity again, I applied some gentle gating, using the same technique as the kick drum, and set up in such a way that I could ramp it up later. Turning to EQ, I high-pass filtered at 75Hz, took a little of the thump out at around 450Hz and added a hefty dose of 3.5KHz and 6KHz to brighten the sound, as I already knew this was going to be necessary later. I also boosted the snare by a whisker at around 200Hz, just to emphasise the low mid-range tonality. I'll often do that, but how much gain I apply will depend entirely on the track, because the snare must always be balanced against the overheads. 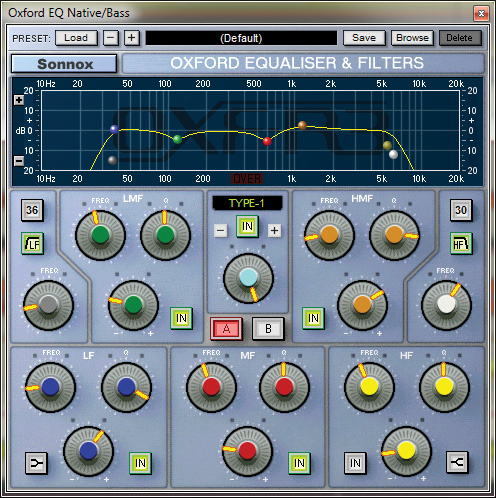 Thus, the choice of EQ settings depends entirely on how much of the lower-mid frequencies are removed from the overhead sound. I quite liked the sound of the bottom snare mic (which is unusual for me!) so I left it untreated at this stage. Apart from checking the polarity again, all I did was to balance it roughly against the top snare-mic signal, before moving on. When it came to the toms, there was very little going on, apart from an instrumental break where the drummer rode the floor tom instead of the ride cymbal. Quite how this should sound was impossible to tell at this stage, but I still decided to apply some broad EQ, engaging high- and low-pass filters at 50Hz and 10kHz respectively, and taking out a generous scoop centred around 450Hz, which all cleaned up the sound quite nicely. I also added some compression, using an SSL channel-strip emulation to achieve about 3-4dB of gain reduction, using a high ratio (10:1) combined with a fast attack and a slowish release. This seemed to pin the floor tom into place. I then chose to put all my drum close-mics through a single subgroup, applying some compression and EQ to these mics to help them sit together a bit better — and it seemed to work. I used Waves' API bus compressor for this job, with a slow attack and a fast release setting. 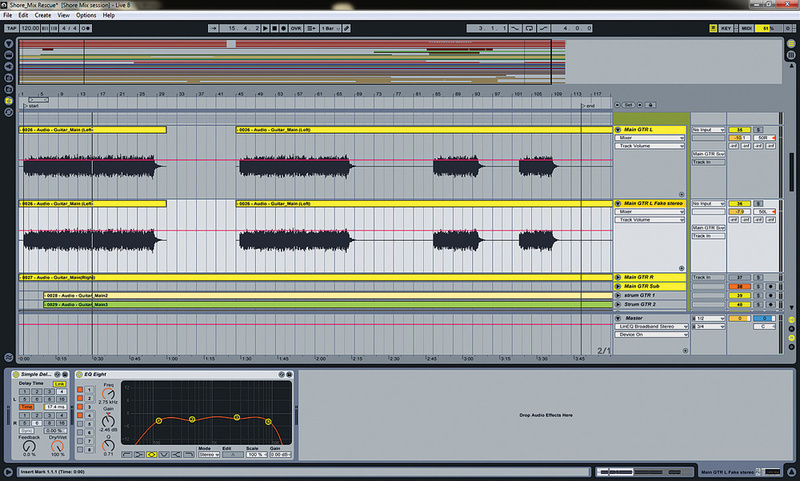 This way I was able to create some 'punch' and exaggerate the attack portion of both the kick and the snare. There's a common misunderstanding about compression on drums, which results in inexperienced engineers using far too much of it, and thus being frustrated by the result. It's worth stressing that you really don't need huge amounts of compression to get things 'happening'. At the loudest point in this track, for example, my main drum-bus compressor was applying no more than 4-5 dB of gain reduction. 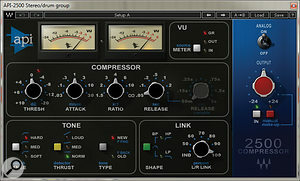 Compression was used for all the close-drum mics, which shared a dedicated bus. My next step was to begin balancing the close-mic group against the overhead mics. The latter gave me a nice image of the kit overall, and when I hard-panned them left and right, also engaging a 120Hz high-pass filter, and mixed in the close-mic group, the drum sound really started to come together. I added a little more EQ to the overheads (scooping out a little low-mid between 200 and 350 Hz), fine-tuned the balance with the close mics, and moved on. Playback at this point presented the well-captured sound of a drummer playing, but didn't really fit into the picture of the bigger, more epic-sounding mix that I had in mind. My hope was that the room mics might help in this respect, and that, as I hadn't yet applied parallel compression of any kind, or any other treatment on the overall drum group, I'd have further room to develop the sound. Listening to the room-mic track revealed a nice trashy quality, and I exaggerated this by hitting it hard with 10-15 dB of compression from another SSL channel strip plug-in. This combined with some pretty savage subtractive EQ (15dB at 250Hz and low-pass filtering at 8KHz) to give the impression of a drummer who was 'going for it' a bit more — which, as I explained earlier, was exactly what I was looking for! Unless you were seeking a specific effect, you wouldn't want to use too much of this sort of treatment, but hitting the room mics hard and adding just a little of them to the mix can really lend attitude to a drum track, especially in less cymbal-heavy sections. I still wanted to add a few final touches to the drum sound, so I applied a touch of parallel compression to the whole group, using Ableton Live's bundled compressor, which I set up as a send effect. Finally, I used SoundToys' excellent Decapitator on the overall drum group, to create a little thickness. It's very much a case of twiddling until you arrive at the right sound with this plug-in, and once I had an effect I liked, I set the mix knob to about a third, so as not to overdo things at this stage. I could always add more later. With a good, workable drum sound in the bag, I made sure I was happy with the gain staging in my mix, and that I was left with plenty of headroom on the master bus, before moving on. I had two separate tracks to play with for the bass part, as a clean DI signal had been captured alongside a decent-sounding miked amp, which had plenty of nice low-end, as well as a little 'grunt'. As always, my first move was to reverse the polarity on one of the channels, to see how the tracks' phase relationships would work best, and I preferred the sound with polarity reversed, as it noticeably filled out the low end. I also zoomed in to look at the waveform, and found that dragging the amp track back against the DI track by just a tiny amount helped to firm up the bottom end even more. This bass part itself had a driving, dubby, finger-picked style. Plenty of low and low-mid frequencies were evident, but there wasn't that much in the way of mid-range definition — or, indeed, anything above about 3Hkz. Both those regions are important, as a good bass sound relies not only on the deep bass fundamentals: the mid-range and higher frequencies contribute significantly to the overall tone of the instrument. I got stuck in with an EQ to see what I could achieve, and found that a high-pass filter set to around 30Hz and a couple of not-insignificant scoops taken from the low-mids (around 117Hz and 600Hz) resulted in a much leaner, clearer bass sound, full, but not woolly. I wanted this bass part to really drive the track along, but had to bear in mind the need to leave room for the lower end of guitars, vocals and other important elements. Also, looking at the oncoming blanket of guitars and synths in the mix, I also knew I was going to have find some way of giving the bass a 'footprint' slightly higher up the frequency spectrum. The bass part was EQ'd, and distortion — courtesy of SoundToys Decapitator — was blended in, to add more upper mid-range frequencies to the sound. An EQ boost at around 1.2KHz helped a little, but then I began to experiment with other processing, to generate some musically useful higher mid-range information. Mike Senior wrote in a recent Mix Rescue about using subtle amounts of distortion to achieve this, and I ended up using a similar technique. Using SoundToys Decapitator, I dialled in some pretty full-on distortion and, using the tone controls, I made things extra-bright and exaggerated the mid-range area I was interested in. On its own, this obviously made the bass sound laughably inappropriate, but using the mix knob to blend only a little of this shredding distortion with the dry signal really helped give the bass — still with those nice lows — a bit more attitude. Later, as the mix progressed, I'd be able to adjust and automate the blend of this effect, so that the track would benefit from some nice, subtle movement at key points. My final tweaking of the bass at this point was to add 4-6dB of gain reduction, with a compressor ratio of 3:1, a 4.74ms attack time and a fast release of 0.28ms. This helped to hold the bass down but also to emphasise a little more of its attack. Lastly, via an aux send, I sent some of the bass signal to the parallel compression I'd set up for the drums, to help glue these elements together, and then moved on to the vocals. 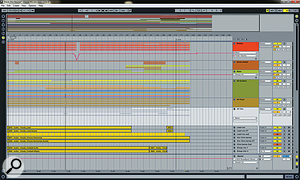 I really can't write about 'rescuing' at this point, as I was very lucky with the vocals for this mix. Paul, the singer, had recorded his own vocals and he'd a done really nice job, creating well laid-out parts, with nice, tight double-tracks and well thought-out backing parts. Working with the dry lead vocal first, I put it up against the drums and bass to see how it would sit without any processing. Initially, I felt it was somewhat lacking in urgency, and had a little too much low end, presumably courtesy of the proximity effect bass boost, which clashed with the bass guitar. I've developed a sort of order for vocal processing. Usually I'll start with subtractive EQ, placed before any compression. Tone shaping EQ frequency boosts and de-essing tend to be post-compressor. In this case, I used Live's EQ to high-pass filter the vocal at 90Hz, and to thin out a little at 200–250 Hz, knowing that compression was going to thicken things up a bit anyway. Although I was pleased with how the vocal was shaping up, I was keen for it to have a more modern sound, which led me to apply some compression and do a little more experimentation than I usually would. Modern vocals are typically treated to a bucketload of compression — then often some more for good luck! When I listen to commercial mixes on my monitors, I'm often staggered by how much is evidently being used. In future, perhaps people will regard this in the same way we regard the use of reverb in the '80s! Nonetheless, I was aiming for a modern sound, and using a combination of two types of compressor enabled me to achieve a good amount of level control while also creating a greater sense of urgency — and thus, from a listener's standpoint, excitement. 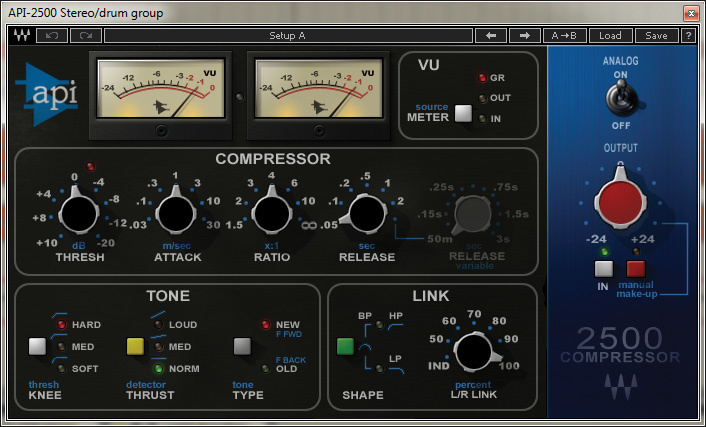 With very fast attack and release time constants and about 4-6 dB of gain reduction, Live's bundled compressor helped to firm up the lead part nicely, as well as giving it a bit of bite. 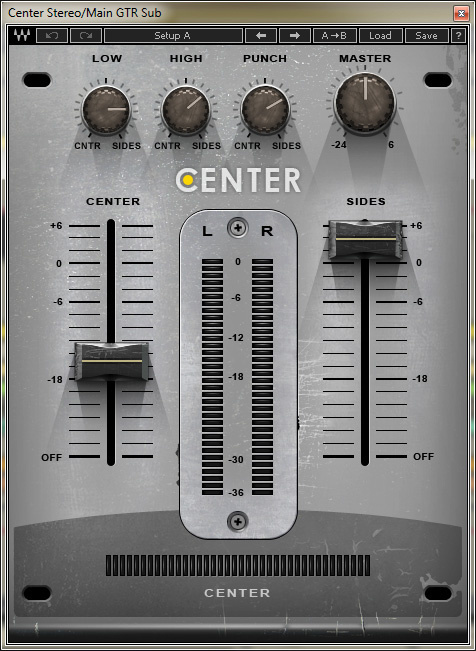 Applying a second generous layer of 'slower' compression, courtesy of Waves' CLA2A plug-in (a Teletronix LA2A emulation), helped fill the vocal out, and had a nice dynamic-smoothing effect when placed after the more aggressive-sounding first compression stage. By now, I was pleased with how the vocal was sitting against the rhythm section, so, after doing some basic automation to bring up the level of the vocal in the verses, I applied a little of the short plate-style reverb from one of the sends I'd set up. The project featured a massive 'blanket' of guitars — only some of which you can see on screen here! Looking at this sea of guitar parts, I originally suspected that my main tool would be the mute button, but after a little exploration I identified what I considered to be the three or four key parts. The rest were mostly atmospheric extras, used for effect and padding at various points in the track. As I mentioned earlier, all the guitar parts were presented as stereo files, had generous effects and had seemingly been created with plug-in amp simulators of some kind. Amp simulators have improved a great deal in recent years, but I think they still have some way to go to match the real thing. Fortunately, the generous effects on these parts would ensure that the tell-tale 'ringy' tone that seems to characterise the software amp-sim sound wouldn't be a huge problem. Because I'd taken care of the organising before the mix stage proper, I was able to quickly whizz around the guitar parts, building up a rough balance against the rhythm and vocal tracks. I applied a little EQ to all the parts as I went, mainly just some high-pass filtering between 70 and 100 Hz and a little brightening around 2-4 kHz on the main guitar rhythm parts. With a rough balance of drums, vocals, bass and guitars, things were beginning to sound good, but in certain places it felt as though someone had thrown a blanket over the mix! Also, while the many 'stereo' parts meant that everything felt nice and wide, I had the impression that everything was everywhere, yet at the same time nowhere in particular. I really liked all the parts, however, so I was keen to find a way of creating the space I'd need to keep them. I wanted room in the middle for the vocals, bass, kick and snare to thrive, without sacrificing width, and to achieve this, I experimented with panning the guitar parts into different positions. A faked stereo guitar sound, created during the remix, sounded better than the original simulated stereo track! Looking at the main guitar first — a pulsating, atmospheric rhythm part that started the track — I was struck by just how blanketed and muddy the stereo part was, even after I'd attempted to clean it up with EQ. I suspected that this might be a result of some 'fake stereo' processing imparted by the amp simulators with which the sound had been created, so I set about creating my own effect instead. Ditching the right-hand side of the part I used the common 'Haas effect' technique of duplicating the remaining side and adding a very short delay of 12-14ms, which fools the ears into hearing a stereo-like effect. This immediately improved how the guitar sat in the track, and I was able to remove most of the EQ I had applied. I should mention that I was checking the mix in mono during this process. The Haas delay effect works well in stereo, but all of the effect is lost in mono, and phase cancellation can mean that a lot of the original signal is lost in mono too — so achieving a result that works well enough in both mono and stereo is a real balancing act. How far you go with it really depends on where you stand on the relevance of mono in this day and age, and how much improvement the processing you're applying is making to your stereo mix. I hoped that this part was going to be the widest, and probably the loudest, guitar part, so I spent a little more time working with it until I settled on some gentle brightening EQ around 3kHz, a little dip around 450Hz, and a few dB of gain reduction from a compressor with a slow attack and a fast release setting. This all seemed to bring some bite to the heavily effected part. 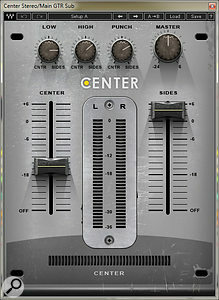 Waves' Center plug-in was used to help clear out some space in the centre of the stereo stage, to allow critical elements to breathe. I then sought to judge the right level in relation to the main vocal part and, despite further efforts with EQ and playing with the balance, I still felt the vocal was slightly smothered. I tackled this in two ways. 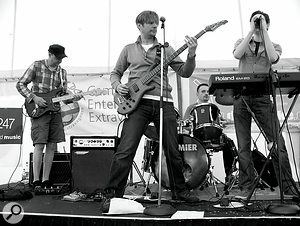 First, I found myself turning to the old radio-style ducking technique: I inserted a compressor on the guitar group and set its side-chain to be fed by the main vocal part. The result was a very subtle 1-2dB of gain reduction when the main vocal was playing. With some fine-tuning of the release time, this seemed to help the vocal hold its ground without noticeably compromising the guitar part. Conscious that I still had a few more parts to fit in, I turned to some more radical processing in the form of the Waves Center plug-in. This is a very powerful and easy to over-use processor for manipulating the spatial image of a stereo part. I used it to bring down the volume of the centre of my guitar part and also exaggerate its level in the sides. This enabled me to get the part as loud as I wanted without getting in the way of my key central mix elements, (mainly vocals, bass, kick and snare). With the main guitar parts in place against the rhythm tracks, I had a much clearer idea of how much space was left to play with, and I began to place the other guitars. Many of the sections didn't really seem to benefit from being in stereo, and in those cases I 'lost' one channel and positioned the resulting mono parts at pleasing places in the stereo field. I was pleasantly surprised at this point that I was able to get all the guitars involved, and found myself simply playing with the balances and applying very minimal processing to a few parts here and there. My mute button was primed and ready, but I found that the dense arrangement was a fundamental aspect of the production, and suspected that the band would be happier if I kept all their carefully crafted parts. The vocal effects processing featured both pitch-shifting and delay. As the guitars were printed, complete with effects, I spent quite some time trying to bring other aspects of the mix into line with them, using send effects to make the whole mix feel more coherent. 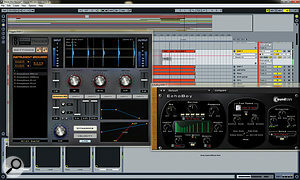 For the vocal, I used a combination of a simple plate reverb and a slap-back delay, which I enhanced using SoundToys' freeware Microshift harmoniser-style plug-in. In this instance, I was just trying to match the level of 'wetness' set by the guitars, in a convincing way. For the snare drum, I was a little more inventive, because simple reverb wasn't really doing what I'd hoped it would. Using the Slate Trigger drum-replacement tool, combined with a heavily diffused slap-delay (via SoundToys EchoBoy), I created a mock room-style snare sample. As well as helping to bring the snare in line with the other effected parts, this brought a slightly explosive quality to the drums, which I thought worked really well. I also applied a small amount of the reverb send to other elements of the mix, such as drum overheads and some of the percussive parts in the breakdown section, and set the backing vocals a bit further back in the mix, with a slightly longer reverb of around 1.9 seconds. 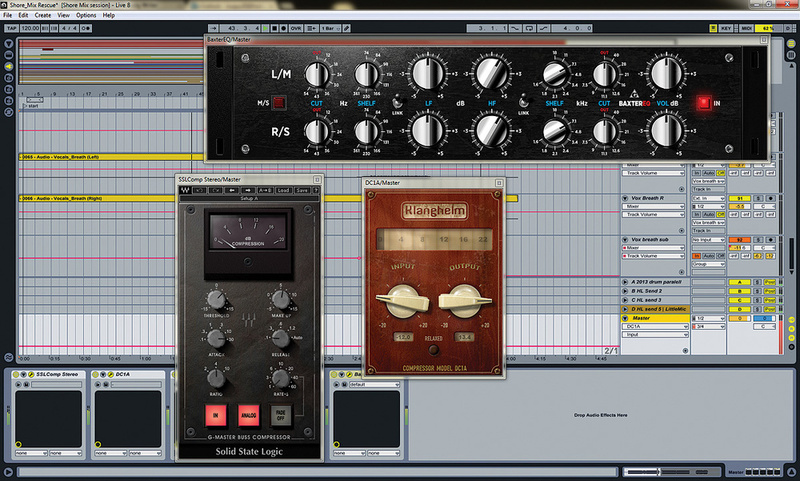 Using a replacement sample and slap-back delay, a fake room-miked snare sound was created.. I had some mix compression in place right from the early stages in the mix, courtesy of Waves' SSL bus compressor emulation, but by its final stages I was still only just tickling the meter with 0.5-1dB of gain reduction. This is a really heavy-handed compressor if you push it too hard, and even when it's used with a light touch, you can really hear the difference when you take it off. 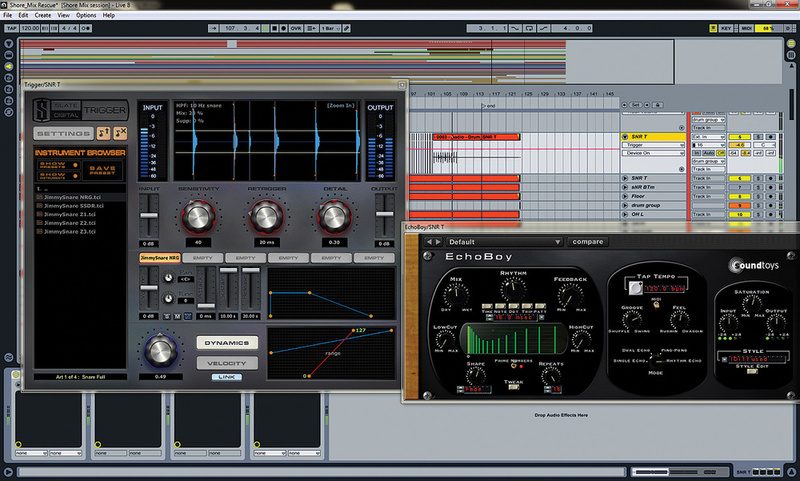 Before sending the mix to the band, I applied some further mastering-type processing. This comprised a little compression, using the Klanghelm DC1A compressor plug-in, some minimal EQ cut at 240Hz, and, via Variety Of Sound's freeware BaxterEQ, a little brightening, using a gentle high shelf starting at 7kHz. 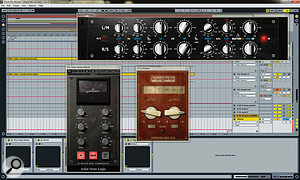 The processing applied to the master stereo bus included a Baxandall-type EQ (using Variety Of Sound's freeware BaxterEQ), an SSL-style compressor model by Waves to add a little of the fabled 'glue', and another 'character' compressor, in the form of Klanghelm's freeware DC1A. My initial feedback from the band was good, and after bouncing a few emails back and forth, I implemented a few adjustments to the level of various guitar parts. I was more than happy to do this, as it was mainly just about slight changes to the emphasis placed on different parts. It was also suggested that the guitar-solo section was sounding a bit too epic, so I nestled it back into the track by bringing the level down a little. At singer Paul's request, I also adjusted the level of the vocal in the first verse and applied a little more vocal de-essing. For me, the key to making this mix work was the time I spent setting up and organising the session, and developing a broad plan for the finished sound. Creating this strategy and organisational framework meant that I was then free to focus entirely on mixing in a creative and musical way. From an overall production point of view, I think that the band have arrived at a really effective model for getting results from a self-produced project. They've built up a good team who are all pulling in the same direction, and they clearly know when external help is needed, whether that is tracking the drums at a commercial studio or seeking objective help at the key mixing stage. Paul Barnes: "Having listened to the song thousands of times during the recording process, we were starting to get pretty tired of it. This new mix really energised the song for me again, and when I got the final mix back home I must have listened to it 20 or 30 times in a row, happily bouncing around my flat like an idiot! It sounded consistently good on all of the systems on which we listened to it. We played it through every set of speakers we could get our hands on, in as many different rooms as we could find. It sounded good through cheap generic MP3 player headphones and netbook speakers and passed the car stereo test (played loud, competing with the engine). "The vocals sound great. They've really been brought to the fore without sounding disconnected from the rest of the mix. Seb's drums and Lee's bass have so much power and definition. They've never heard themselves sound this good. The percussive textures in the final third of the song are gorgeous, better than we could ever have imagined. Rescued this month is a mix of Motor Tapes' track 'Shore'.